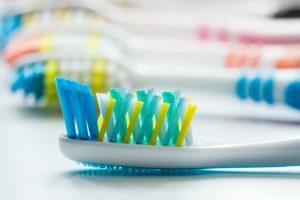 To ensure that your adult patients know what their responsibilities are where their children’s oral health is concerned, direct them to a new guide from the British Society of Paediatric Dentistry (BSPD) designed to correct some of the myths about teeth and to help them get off to a good start for dental health. Dental decay is one of the most common reasons that a child is admitted to a hospital in the UK, which is what inspired the organisation to publish this guide. Spokeswoman for the society Claire Stevens noted in fact that one in eight children aged three years old has clear signs of dental decay and as such, it’s too late for them to wait until they reach school age before going to see a dentist. She went on to state that routine dental visits from age one mean that children are also able to become accustomed to the dental environment, while also making sure that children in need of further check-ups can be referred on to a specialist in paediatric dentistry. “Your child’s baby teeth – also known as milk teeth – do matter and have an important role to play. They hold the space for second teeth to come through into but because the enamel is thin, they are highly susceptible,” Ms Stevens continued. Parents should be advised to begin brushing their baby’s teeth with fluoride toothpaste as soon as the first milk tooth comes through. Fluoride paste is the best as it helps to prevent and control tooth decay – so there’s no need for your patients to rush out and buy special children’s toothpaste. Looking for diamond dental burs? Get in touch with us here at Acerdent to see how we can help.